The MQ prefix has been used twice since I have been on the air. The first time was in 2002 for the Golden Jubilee of Her Majesty Queen Elizabeth II and more recently in 2012 for the Diamond Jubilee. For all QSOs made in 2002 the following QSL card was printed and sent out via the bureau. 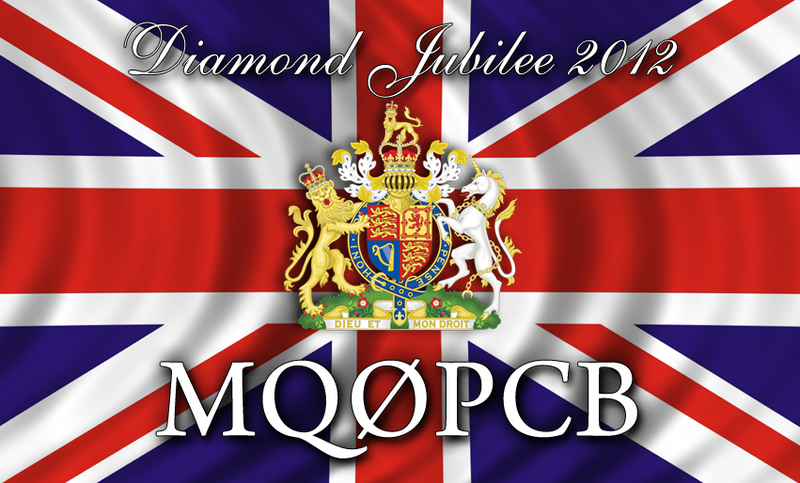 In 2012 just over 300 QSOs were made using RTTY and CW on the bands. All QSOs were sent the new QSL design as shown.